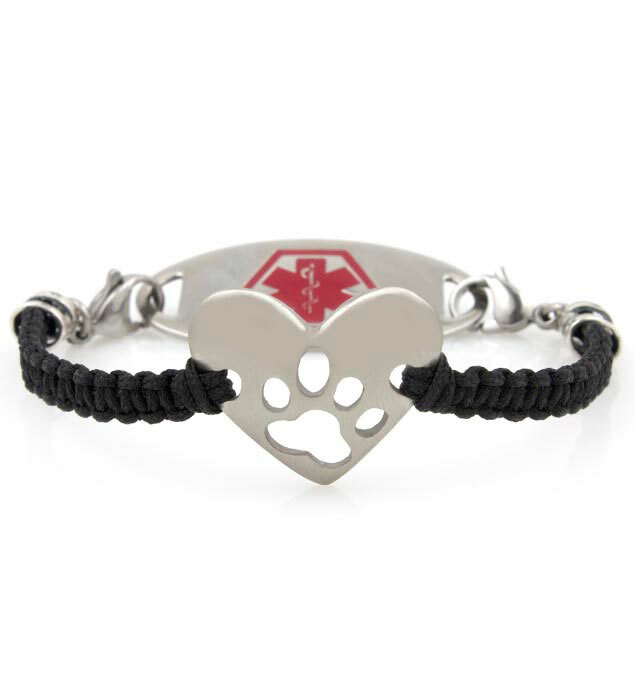 The Best Friend Medical ID Bracelet features a stainless steel centerpiece in a heart shape with a paw print cutout. This unique design is accompanied by our popular black macramé. Simply attach to your custom-engraved Lauren's Hope medical ID tag to complete the look.